Home / Blog / Health / What is CBD Oil? Among the various medicinal marijuana products available in certain areas, CBD oil is a new and controversial item that people can purchase for its supposed health benefits. There is some confusion about what CBD oil actually is and how it can be used to treat certain illnesses. The oil is not legal in every state but it is sometimes legal in states where medicinal marijuana is not. CBD is short for cannabidiol and it is one of the many compounds that are found in the cannabis plant. Researchers are still working determine the various therapeutic uses for CBD oil but it is believed to have a huge range of health benefits. It is said to reduce pain, anxiety, depression, balance the metabolism, help with sleep disorders and a number of other uses. Although it comes from the cannabis plant, CBD is used for therapeutic purposes only and does not provide a mind-altering high. The oil can come in many different forms such as oils, creams, sprays or even capsules. People can find CBD oil in medicinal marijuana shops that provide various kinds of cannabis treatments. CBD oil is derived from the hemp plant but it is low in THC, the chemical that produces the usual “high” associated with marijuana. The oil has been receiving more attention recently due to changing marijuana legislation in many states that have legalized both medicinal and recreational marijuana. CBD can be an option for therapeutic use of marijuana for those who want to avoid any addictive high or the feeling of being disoriented. The reason that CBD oil is thought to have various medicinal properties is because of the many cannabinoid receptors we have in the brain and nervous system. These receptors react to both plant-derived cannabinoids like CBD and to natural cannabinoids that are produced in the body. CBD oil helps boost the function of the endocannabinoid system which helps regulated the health of the body in different ways. Most often people use CBD oil for its analgesic properties to help relieve pain in the body. It can help people that suffer from issues such as back pain or even full body pain due to conditions like cancer. It is useful for pain relief because it can disrupt the activity of pain receptors in the body and cause a release of neurotransmitters like serotonin and dopamine instead. CBD oil is also thought to fight inflammation which can provide relief from things like arthritis, migraines and joint disorders. It can also combat anxiety by producing the “feel good” neurotransmitters and increasing the level of positive hormones in the body. It can help people sleep by providing a strong sedative quality that fights issues with insomnia. One of the reasons that CBD oil is considered a safer and more therapeutic alternative to other cannabis products is because it does not contain THC. When people experience paranoia or anxiety while using marijuana products it is usually due to the psychotropic qualities of THC. CBD oil therefore has less of the side effects that are commonly associated with other types of marijuana. Studies of CBD oil have found that it is well-tolerated across a wide range of doses and there are no significant side effects in the central nervous system or effects on mood. The most commonly reported side effect with the use of CBD oil is tiredness which is likely due to the sedative properties in the product. People have also noticed diarrhea and changes in their weight or appetite. 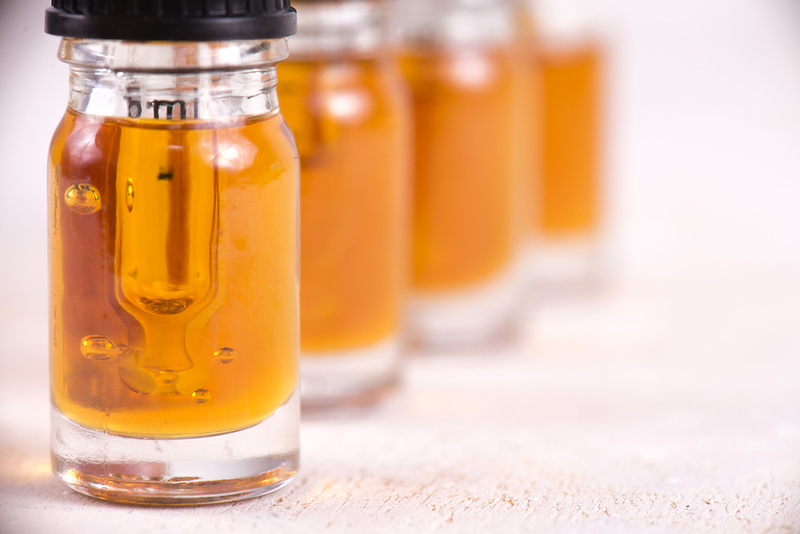 It is difficult to determine the risks of CBD oil as there is very little long-term safety data available and the product needs to be further researched. It is important to discuss the use of CBD oil for specific health concerns with your doctor before trying it so that you can avoid any problem with treatment. CBD has not been approved by the FDA for the treatment of any condition so it is not officially regulated by the government. If you are interested in using CBD oil to treat a condition, talk to your doctor to help determine the dose and the type of product that they feel will be most effective. Make sure to discuss any potential risks that they feel could affect you based on your specific condition. Always follow the instructions carefully as far as dosage and application of the product for the best results.